A 65-year-old man presented with recurrent claudication of the left lower limb. 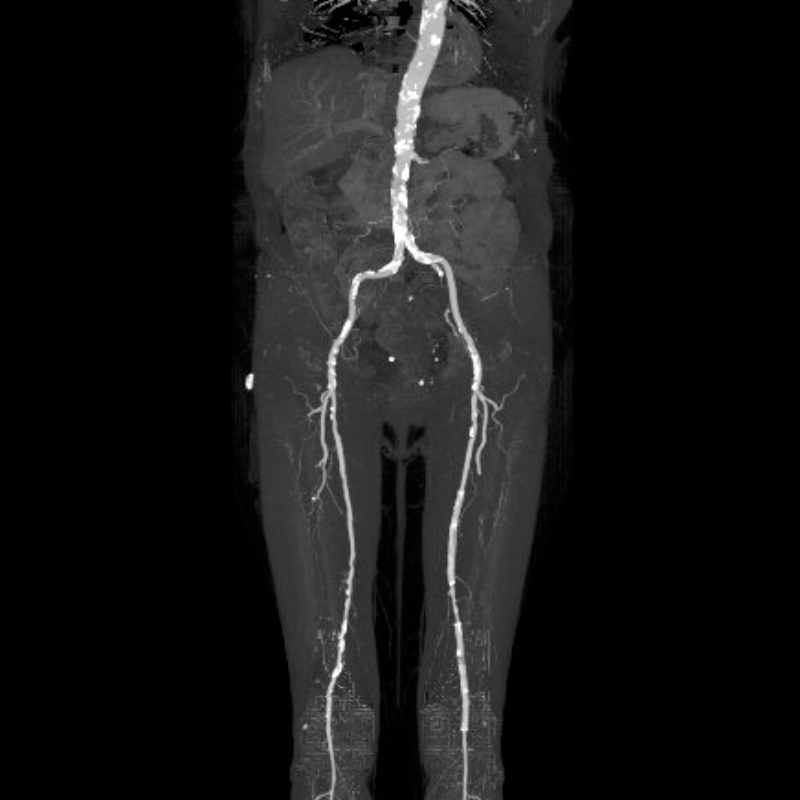 On questioning, the patient indicated that he had previously been treated by stents in the left superficial femoral and left popliteal arteries. Contrast-enhanced run-off MDCT was performed to evaluate further.